Recently, I took a road trip to see EP in Atlanta. We had been planning this trip for a while. We could never get an ideal time to for me to go. Finally, we both agreed that Valentine’s weekend would be perfect. I began preparing for the trip. The first thing I needed to do was get the oil changed and made sure the right pressure were in the tires. The technician checked all of the fluid levels and checked the windshield wipers. He gave me the all clear and said to have a safe trip. I checked car off of my list. The next thing that had to be done was, get adequate amounts of snacks and drinks. I went to the store and picked up some Planters trail mix, Smart Water, potato chips and of course a pack of gum. There were the essential road trip food items that my sister-in-law and I would get during our trips. I checked this off of my list too. Now it was time to hit the road. I got all the bags into the car. I made sure the snacks and drinks were easily accessible. Connected my phone to the auxiliary connection and uploaded the address into the MapQuest app. The app said I had 8 hours and 43 minutes until I reach my destination; oh my, this will be like working all day! Oh well, let’s get it! My car and I hit the road headed to Atlanta. The first and second hour was great. I could still catch a local radio station and I didn’t need to stop for anything. The weather was perfect and I actually was making great time. I was still full of energy. 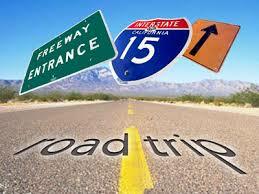 No travel or roadwork issues. All of this was true until the third hour into my trip. Around this time, I made it to Mobile, AL. 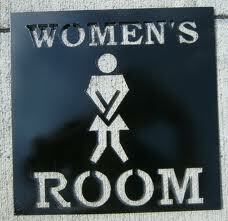 Then my bladder began to talk to me about finding a place to go. My stomach started to chime in about food selections. My gas gauge was still looking good; it was still a little over half. Also, the traffic started to get a little congested due to construction. Therefore, I said now would be a great time to stop. I pulled up to a Hooters. This was a great suggestion because I could knock out almost all of my issues at one place. I ran straight to the restroom for the bladder. Ordered shrimp and fries for my stomach. As well as, let some of the traffic die down a bit before crossing the street to fill up with gas. So, my car and I got back on the road. Gas tank was full, stomach was satisfied and my bladder was empty; which I thought! I get another hour and a half down the road when my bladder started screaming again. I pulled up to a McDonalds somewhere close to Montgomery so my bladder could stop screaming at me. While there, I got a large sweet tea; right, like I need anything else to drink! Once again, my car and I got back on the road. I begin singing loudly to the music because I found a great radio station after scanning for a bit. Everything was going great. Traffic was moving smoothly. My bladder was content. My stomach was at ease. I glanced at my MapQuest app and it said I had four more hours to go. I begin singing louder. After an hour and a half had passed, guess what? You got it; my darn bladder started screaming at me again. I pulled off the freeway once again to let my bladder go to the restroom. I ended up at a Starbucks in Opelika, AL. Yep, you guess it again, I got coffee, junkie! Once more, my car and I hit the freeway. I pulled up the MapQuest app again to see how much more time I had before I got there. Hallelujah, I had two hours to go. The stretch between Opelika, AL and downtown Atlanta seemed like it was the fastest part of my trip. I guess because the freeway opened up into three lanes; then into four, made it an easier route. The other cars were driving even faster on this stretch of freeway. Anyone who knows me, know that this made me a very happy girl; I am a speed demon! 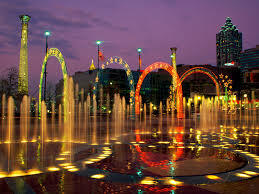 Once I got to downtown Atlanta, my bladder started bellyaching one more time! I instructed my bladder to be patient a few more minutes. At this point, there was no more singing but dancing had begun; geez louise you swear, I was a little kid! The next trip I take, I will hold off from drinking so darn much! However, having to go so much, I saw parts of the Alabama I don’t think I would have seen! Share road trip stories/nightmares with me.